The Kingston Common Council will be voting on a bill memorializing the New York Health Act on Tuesday, October 2nd in the Council Chambers at City Hall. 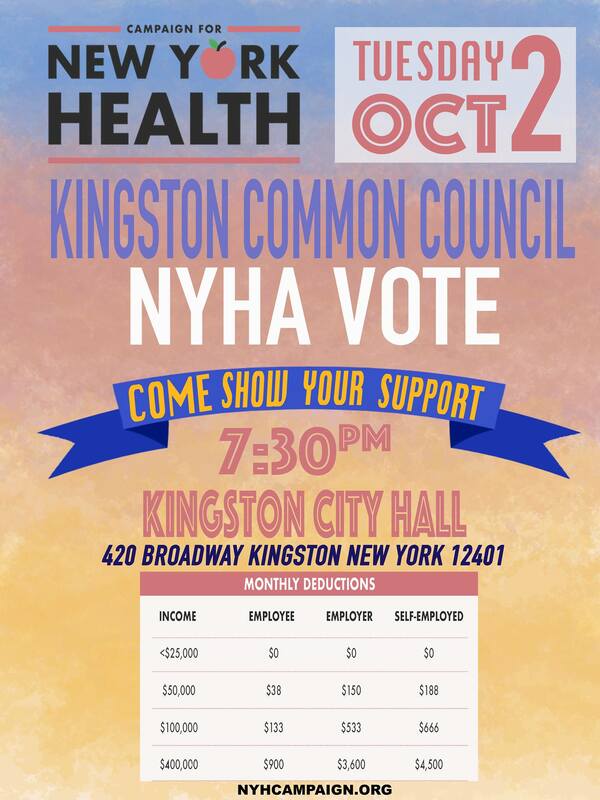 Show your support for this resolution to be passed and for Kingston to join the dozens of municipalities in New York who have officially endorsed affordable, universal health care for all New Yorkers. If you or someone you know has a story to share about how this could benefit you, please come share with the common council and compel them to vote in favor of this resolution.